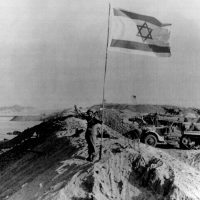 For Egypt and Syria, the 1967 Six-Day War was a bitter defeat at the hands of long-time foe Israel. They wanted to regain the Sinai and the Golan Heights while Egyptian President Anwar Sadat also wanted to reopen the Suez Canal. On October 6, 1973 they launched a surprise attack on Israeli positions in the Israeli-occupied territories on Yom Kippur, the holiest day in Judaism, which also occurred that year during the Muslim holy month of Ramadan. 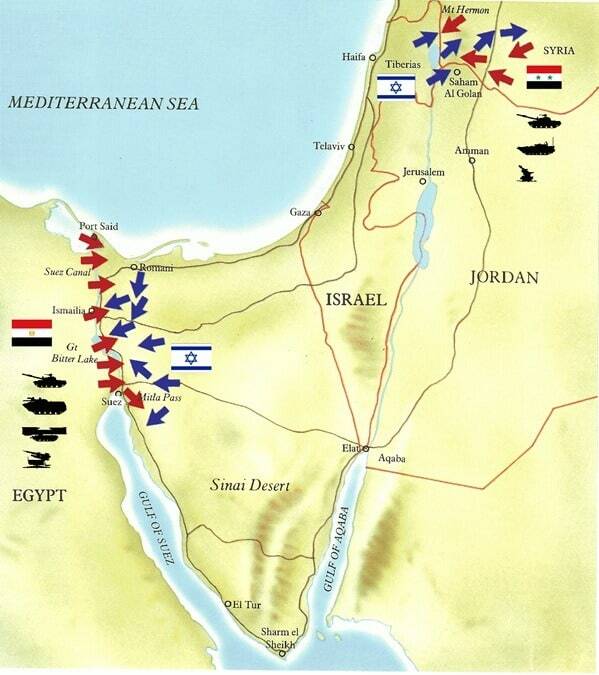 The hostilities in turn led to even greater tensions between the United States and the Soviet Union, which began to rearm their allies, Israel and Egypt. Fears of a large-scale battle in the Middle East, perhaps escalating to the Cold War superpowers themselves, ultimately persuaded all involved to back away from the abyss and negotiate a peaceful resolution. Arthur Day served as Consul General in Jerusalem at the time of the war. He was interviewed by John A. McKesson III beginning September 1990. Helmut Sonnenfeldt, who served on the National Security Council under Henry Kissinger, offers a unique perspective on the Soviet threat in the Middle East at the time. Interviewed by Charles Stuart Kennedy beginning July 2000, he shares some background on the relevance of Middle East politics, at a time when the rest of the world’s eyes were turned elsewhere. 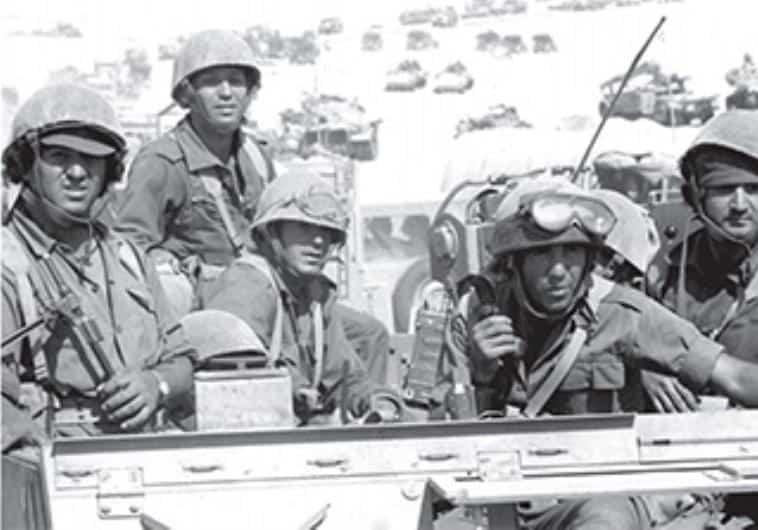 Read about negotiating the end of the Yom Kippur War. Go here to read about negotiating the Camp David Peace Accords and other Moments on the Middle East. DAY: During the week before the attack there had been rumors of troop movements and activity, especially in the Syrian sector. U.S. military officers had inquired several times of Israeli military intelligence whether these movements did not presage some kind of hostile action by the Arab armies. The Israelis, having been burned by predicting Arab attacks early in the year that did not materialize, dismissed the reports as groundless. Toward the end of the first week of October, though, they were sufficiently concerned that they began to move troops of their own up towards the Golan front with Syria. 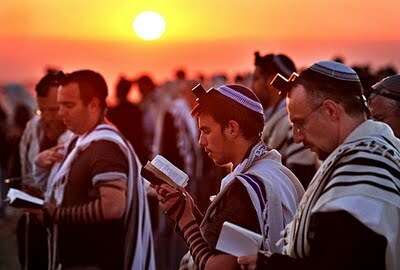 My involvement began on the night of October 5th, which was a Friday night and a night on which, at sundown, the very holy observance of Yom Kippur began in Israel. My wife and I were to go out to dinner that night to a staff member’s in the Arab side of Jerusalem. In order to avoid driving through Jewish Jerusalem, in which we lived and where the driving of automobiles was virtually prohibited from sundown on that Friday night until sundown on the day following, we had parked the official consulate car on the border of the old city, that is the border of Jewish Jerusalem, which was only about three blocks from our residence. We walked to the car and drove on to the Arab side where the Yom Kippur observance did not apply. Sometime during the meal I was called on the phone and informed that an urgent telegram had arrived for me from Washington — presumably, although I do not remember the details, an “immediate, night action” which would require my attention at once. I returned alone to the consular office which was in the same building as our residence, leaving my wife at the dinner. My recollection is that I drove back to the edge of Jewish Jerusalem and walked the few blocks on into the very still and quiet Jewish city where there was no traffic in the streets. The Department’s message instructed me to go to the headquarters of the UN Truce Supervision Organization [founded in 1948], known as UNTSO, which was located on a hilltop just outside the city of Jerusalem in buildings that the British had once used for their headquarters during the mandate period. I was to tell the UNTSO commander that the U.S. government was concerned that Arab governments might misinterpret Israeli troop movements on the Golan Heights as having hostile intent and might be lead thereby to some response that might precipitate hostilities. It so happened the UNTSO commander himself, a Finnish general named Enio Silasvuo was away from headquarters that night and acting in his place was the senior American officer assigned to UNTSO headquarters. I got back in my car and headed off for the UNTSO headquarters which required at one point my going into a section of Jewish Jerusalem. I had to get out at one point and remove a barricade that was designed to keep traffic from entering the city and then replace it behind me, driving on through the quiet streets and hoping that none of the more aggressive Orthodox Jews, who were inclined to throw rocks at automobiles, even on the ordinary Sabbath day of every week, would see me and react. They apparently did not and after having removed the barricade that let me out of the Jewish community, I proceeded on to UNTSO and delivered my message. The American colonel agreed to convey this through the UNTSO team stationed in Damascus and I returned to Jerusalem in the same manner as before. Ultimately my wife and I concluded the dinner and returned home to bed. We were awakened at an early hour the next morning by an aircraft, a fighter I presume, flying very low over the city. An extraordinary event at any time but especially so on such a holy day as this. When I made my way upstairs to the office and looked at the cable traffic I found that the Israeli government had finally become convinced that an Arab attack was imminent and had ordered military mobilization. Since Jewish Israelis did not have their radios on because of the holy day, the fighter plane pass was intended to alert them that something was afoot and they should turn on the radios to receive the mobilization instructions. Later that day, it must have been very shortly after two o’clock in the afternoon, I received a phone call from UNTSO telling me that their observers along the Egyptian-Israeli line on the Suez Canal had just that minute reported an attack by the Egyptian forces past their observers, their observation points, towards the Israeli lines. I was able to get a flash telegram back to Washington within minutes of this attack having occurred, which was the first time, but not the last by any means, UNTSO’s presence along the borders and the good relations that existed between the consulate general and UNTSO headquarters enabled us to report quickly and accurately on the progress of the war. Throughout the next week or two as Syrian and Egyptian armies crossed the Israeli lines and then ultimately were driven back across the lines in the other directions, the UNTSO observers pinned down in their observation posts in the midst of the conflict kept up a stream of reports to the headquarters in Jerusalem about the progress of the war. The consulate forwarded these to Washington as they were received since the reports, especially in the early days of the war, reflected much more serious difficulties for the Israelis than the Israelis were publicly acknowledging. Our reporting was able to keep Washington more accurately informed of the true state of affairs, although I assume the Israeli government was informing our embassy in Tel Aviv a good deal more accurately than their press was informing the public. The period of the Yom Kippur war in Jerusalem was a strange one. In the first week while no one really questioned whether the Israelis would really be able to defend themselves in the end, the fighting did strike quite close to the Israeli heartland in the north of Israel where the Syrians pressed down from the Golan Heights. But there was an almost eerie atmosphere of business as usual at the same time, so swiftly had the war come. On one occasion an American religious tour group wanted to visit the Christian sites on the Sea of Galilee, which were only a few miles from heavy fighting and which could conceivably have been overrun had the Syrians been more successful than they turned out to be. The group leader inquired of the consulate general about the situation and was told that this was just not the thing to do at that time. So far as I was aware at the time, he decided to proceed in any case, and disappeared in the direction of the front with his entire tour group. Within the city of Jerusalem there were several hundred American students, some of the Jewish students at Hebrew University, as well a sizeable group of Christian students who were visiting the old city with its Christian sites for a period of study. I was kept busy the first week of the war briefing these students, as best I could, about the security situation and about how it affected them, especially in the case of the Jewish students, giving them assurance that they could pass along to their worried parents at home, that it seemed unlikely that the city of Jerusalem would come under attack. Living in the city was an odd experience in other ways, especially since it was blacked out at night with cars driving through the streets with their headlights dimmed by blue paint or laundry blueing. It so happened that it was a period of full moon and no doubt for the first time in a long, long time, it was possible to see the city from the hills around it with the moonlight shining on its domes and towers without the disturbance of any artificial light. It was a truly beautiful thing to see, although the circumstances were not so benign. SONNENFELDT: At his start in the White House, [National Security Advisor Henry] Kissinger had kept his hands off the Middle East, and I think Nixon wanted him to keep his hands off. Then gradually, especially after the Yom Kippur War, or really during the Yom Kippur War in 1973, he got much more involved. It had been a big subject in one of the summits between Nixon and [Soviet Secretary General Leonid] Brezhnev earlier in 1973, when Brezhnev came over here in return for Nixon’s having gone to Moscow in 1972 for the first in their series of summits. As he had been in Moscow, Brezhnev was very critical of our Vietnam policy, but even more so of our Middle East policy. He kept warning that this issue was a tinderbox. When the Yom Kippur War broke out later that year, it looked, in retrospect, more like Brezhnev’s warnings had been a threat. The Soviets were deeply involved there. Actually, however, whenever there was a war or near-war in the Middle East, the Soviets somehow evaporated, and this caused them a lot of problems in the Arab world. They provided the Arabs with lots of military equipment and training. They seemed to egg them on, very anti-Israeli, and made it appear that they would be actively on their side if war broke out again. But the Soviets never were active – except that they pulled out many of their nationals before the Egyptians launched their attack. We discovered this later. 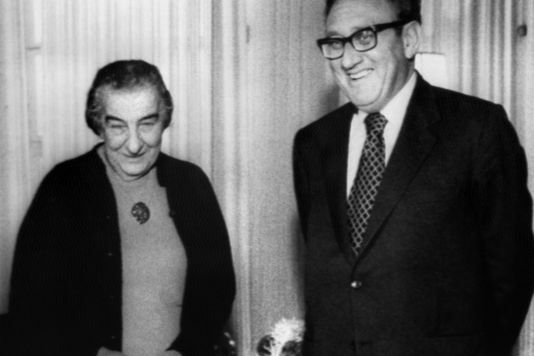 During the Yom Kippur War, I was with Kissinger, along with several other people, in a long meeting Kissinger had in Moscow in October 1973. We settled on a UN resolution that was designed to end that conflict. So the Soviets were involved quite a bit, generally not constructively. But at crisis times, they were the partner that we were able to deal with to calm things down. This time, the result was UN Resolution 338, which built on 242, with which the Six-Day War was ended, but which never led to a full-fledged peace deal. 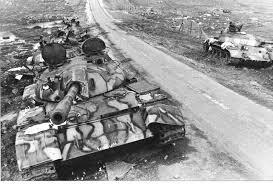 Q: Was your analysis that if things looked or reached a real confrontation, such as over the ’73 War and other times, that the Soviets would back off, more or less? SONNENFELDT: Well, we weren’t sure. We weren’t sure whether they would or not. My personal impression was that they backed off when things got hot. I also felt, over time, that the Soviets’ reputation in the region suffered. In the ’67 War, when the Israelis were doing well, and particularly when they were starting to do well against the Syrians as well as the Egyptians, we thought we saw some Soviet uneasiness, and we were getting a bit concerned. In ’73, the Egyptians, of course, were doing very well at the start. We had the problem of resupplying the Israelis militarily, and there were some internal disputes in the U.S. government about this. When this war started, the press bombarded Kissinger, especially in his press conferences, with questions about, “What’s all this detente about? Here the Russians or Soviets are right up to their ears in egging on the Egyptians, supplying them with military stuff,” and so on. Kissinger found himself on the defensive because this sort of thing was not supposed to happen between the U.S. and the Soviets. I was not sure. After we’d been in Moscow to negotiate Resolution 338, there was a letter from Brezhnev that [Soviet Ambassador to the U.S. Anatoly] Dobrynin delivered by phone here one night. It warned that the Israelis had to stop the fighting, or the U.S. and the Soviet Union ought to, in effect, make them stop. The Israelis were supposed to stop, according to the draft resolution that we and the Russians had worked out in Moscow, which was later adopted by the UN Security Council. But they kept fighting, almost surrounding an Egyptian army near the northern end of the Suez Canal. At that time, I was in a group that met all through the night of October 25-26, 1973, when this Brezhnev message arrived. It was actually delivered only orally by Dobrynin at first, and all we had was based on a telephone conversation. We didn’t have a formal letter. We weren’t sure what they were up to. But some intelligence indicated that their forces might be on the move at Soviet air bases, to help the Egyptians; there were also reports of Soviet naval moves in the Mediterranean. I wasn’t sure what was going to happen. So the U.S. went on a heightened state of alert. It was not the highest alert, or even near the highest, but still noticeably higher than it had been, to send a warning signal to the Soviets. Then it turned out that they…backed away. 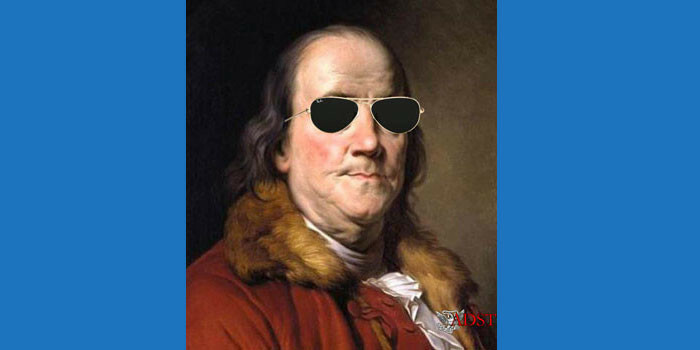 They got something out of their maneuver, because we agreed that they could have some observers on the ground in Egypt, and we would also have observers in the Sinai peninsula. All told, during this tense period I was not sure whether we were close to Soviet intervention. I couldn’t quite believe that they would want to get themselves directly involved in this conflict; but I thought that it might be a domestic issue in Moscow, to see their Arab allies defeated by the Israelis yet again, with American help, and this could produce some perhaps-not-quite-rational behavior on their part. I guess I toyed somewhat with the notion that, if we showed them that we were not going to tolerate this, they would back away from military action. But it’s never been fully established how far they really were going in their preparations, or whether they were just doing things as a feint that would look to us as though they might intervene. They had a particular ship that we were watching carefully in the eastern Mediterranean and they were active in moving their airborne troops, which we were able to detect through our intelligence. I thought we needed to take some precautions. In addition — something I was not that directly involved in — I thought we needed to get the Israelis to stop their effort to fully encircle the Egyptians. The Israelis kept going. The Soviets evidently started getting very itchy. They probably suspected that our finger was in this, and that’s what produced this rather threatening message from Brezhnev, and maybe some of the Soviet military moves. So it was an uncertain time, including in what was becoming Watergate Washington. In retrospect, I don’t think the Soviets would have wanted to get involved, either with the Israelis themselves, or least of all, with us. They weren’t ready to have a big conflict with us. Of course in our case, we were ending our direct involvement in Vietnam, and not very gloriously. We were getting out from under that, and we weren’t looking for a conflict with the Soviets. But there was enough there to cause concern.